In high school, I knew I wanted to focus my college education on business and engineering, but I believe strongly in the importance of studying the humanities and pledged to make time for them in conjunction with the M&T curriculum. Two of my favorite courses in high school had been focused on philosophy, so, naturally, I tried to make take as many of my humanities classes in the philosophy department as I could. The Philosophy minor is a six-credit commitment, three of which must be across different areas of philosophy and two of which must be above 200-level – a task that seemed too daunting when I initially looked at them as an underclassman. But when I was picking classes for senior year, I realized I could double-count two classes I had already taken towards my Computer Science major and the Philosophy minor (Logic and Introduction to Cognitive Science). I had also previously taken a philosophy course as a Global requirement in Wharton, which meant I only needed to take three more Philosophy courses my senior year. I had planned on taking a Philosophy course my senior fall and senior spring, so I really only needed one additional class to finish the minor. This semester I am taking Ethics and Knowledge and Reality. I have always been very interested in Ethics and have had a very enjoyable experience in the class. We have spent the semester reading Mill, Kant, and Aristotle, and I am hoping to finish the minor by taking an upper-level ethics class in the spring. In Knowledge and Reality, we spent the first half of the course discussing the nature of knowledge (i.e. what does it mean to know something) and have most recently been spending time on free will and personal identity. The class is taught by Professor Daniel Singer, who is one of the best professors I have had at Penn. Each class he makes me think and he makes me laugh – and it is one class I never want to miss. Though a minor that is not in Math or Statistics may seem overly demanding or far removed from all the Wharton and Engineering requirements (as it did for me), it is well within reach if you are fully committed and well worth the little bit of extra effort. I am certainly glad I made the decision. Tim is a current M&T senior in the Class of 2014 from Hopewell Junction, New York. 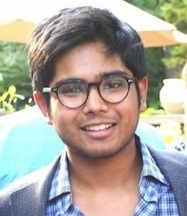 He studies Computer Science within Penn Engineering, Finance in the Wharton School, and Philosophy in the College of Arts & Sciences.